IN THE PAST, spectacle corrections used to be the correction of choice. With the advent of modern technology, people are now choosing contact lenses as an alternative or back-up to spectacles or eye surgery. 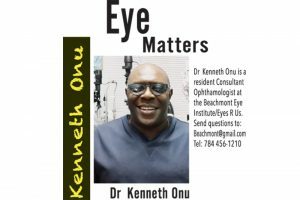 Contact lens wear is on the increase in St Vincent and the Grenadines, and as such, a lot of questions arise in that regard. 1. Question: I have astigmatism. Can I wear contact lenses? Answer: Of course, you can! Over the last two years, improvements have been made on most contact lenses. Nearly everyone can now wear contact lenses. Soft toric lenses can correct astigmatism, a bifocal contact lens can correct presbyopia and more and more lenses are available for dry eye sufferers. 2. Question: Are con-tact lenses uncomfortable? Answer: Not really! 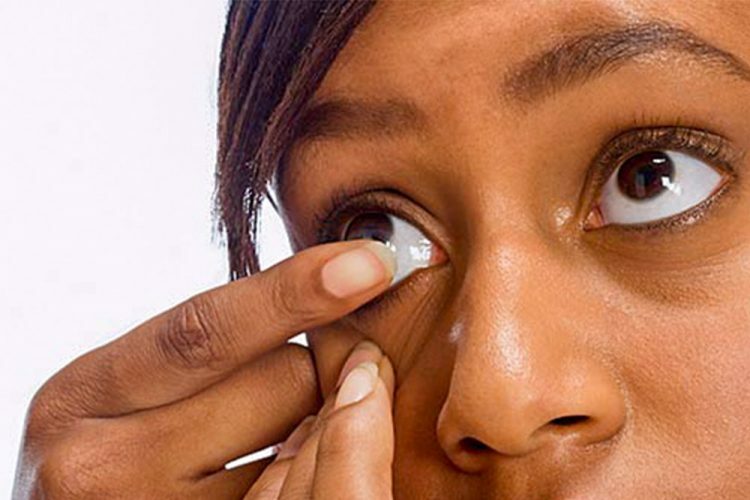 Ini-tially there might be some slight discomfort, but after a short adaptation period, most people hardly notice that they have contact lens-es on their eyes. 3. Question: Can contact lenses get stuck to my eye? Answer: Again, not really! Contact lenses are made to ﬂ oat on the surface of the eye. They do not stick to the eye. There is a story that about a welder who accidentally fused contact lenses to his eyes. This is an unlikely story. Of course, without proper care, acci-dents can happen. 4. Question: How difﬁcult is it to take care of contact lenses? Answer: Contact lenses are very easy to take care of. You can use the one step system to clean and disin-fect your lenses, or you can eliminate cleaning altogeth-er, by using daily dispos-ables or 30-day extended wear contact lenses. 5. Question: Are con-tact lenses difﬁ cult to insert? Answer: Just like riding a bike, initially it might ap-pear difﬁ cult, but your eye care practitioner and staff will teach you very simple ways to insert and remove your contact lenses. Over 80 million people wear contact lenses. 6. Question: Can contact lenses pop out of my eye? Answer: Again, not really! In the olden days hard contact lenses used to do this, but today this is a rare occurrence. 7. Question: Am I too old for contact lenses? Answer: Never! With the advent of bifocal contact lenses, toric contact lenses and contact lenses for dry eye sufferers, this is a thing of the past. There is prac-tically a contact lens for nearly every situation. 8. Question: I’ve heard that contact lenses can be very expensive? Answer: That’s not true! Contact lenses can be even cheaper than a good pair of eyeglasses. Even disposable contact lenses do not cost much. 9. Question: I have non-prescription coloured contact lenses. Can I share them with others? Answer: Never! Sharing contact lenses is an abso-lute no-no! This can lead to serious eye infections. Remember, contact lenses are medical devices. They are ﬁ tted by your eye care practitioner and are to be cleaned regularly with the appropriate solutions. 10. Question: Can I stretch the replacement interval of my disposable contact lenses? Answer: It is very im-portant to adhere to the directions of your eye care practitioner. Stretching the replacement interval of your disposable contact lenses can lead to problems. If you have any questions, contact your eye care practitioner.